It was one of those beautiful autumn days in Sydney. I was driving along Maroubra Road heading to the airport to drop off my brother-in-law and his wife after the wedding of my youngest daughter the day before at Bronte. A cold wind was blowing, but the bride and groom pictured above had planned the wedding ceremony to perfection at the Bronte RSL. 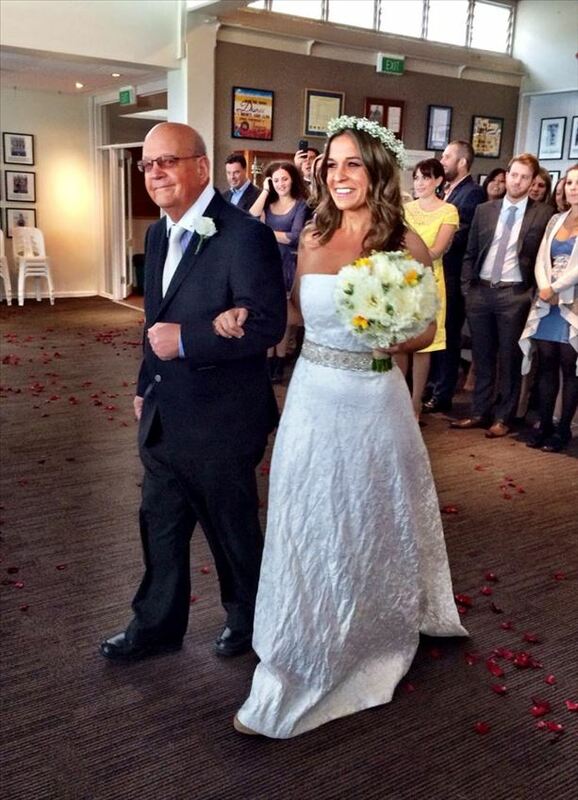 Flower girls, including my granddaughter, threw the rose petals in front of the proud father as he walked up the aisle to hand over his stunning daughter to her beloved. A poem, vows spoken with love and humour, a marriage sealed with a kiss or two, then speeches, drinks, dancing to The Time of My Life, with the newly wedded couple looking like Patrick Swayze and Jennifer Grey in Dirty Dancing, toasts, more speeches, more dancing, more photographs taken by the inimitable Kristjan Porm (http://www.kristjanporm.com/) and a myriad of guests. You could drink, dance and keep an eye on the Swans game on the plasma TV on the wall (sound turned down, of course). It made me ponder that on Sunday afternoon when all seemed right with the world, two of Australia’s most influential businessman were wrestling and punching each other while a bodyguard and a personal trainer tried to pry them apart. Unfortunately for both men, a photographer managed to capture images of the Crown Resorts chairman and the Nine Entertainment chief executive as they behaved like two schoolboys. As a journalist who’s dropped a typewriter on the floor – in order to get it fixed – and turned over the editor’s desk – in a moment of rage against management (no one was behind it) — I’d be a hypocrite if I said I couldn’t understand why they were fighting. But I never hit anybody, and I did apologise for my behaviour. James Packer was angry about a satellite technician who had parked his truck near his house, and complained to David Gyngell. The tech was a neighbour of Packer’s and often parked there when he got home late and had to get up early. He was not trying to get pictures of Packer and his alleged new girlfriend – an Australian celebrity. 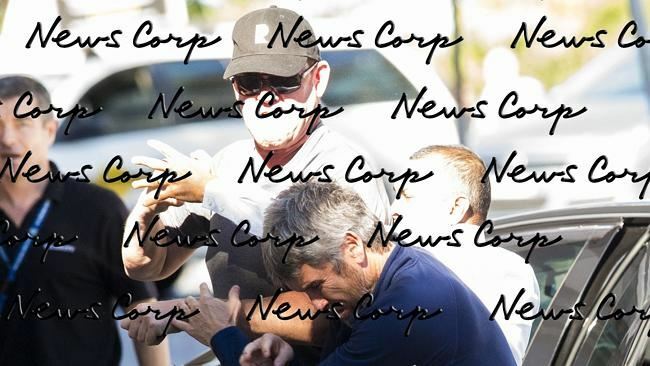 Gyngell threw the first punch and took the blame for it by day 3 of the prolonged news cycle. There were fears Packer’s casino businesses could go south if he were charged with affray. Due to the public nature of the punch-up, the police were forced to investigate, and at the time of writing, still haven’t decided whether to lay any charges. UPDATE: On Friday, the NSW Police issued James Packer and David Gyngell infringement notices for “offensive behaviour” and fined them $500 each. No conviction was recorded. I hope that’s the end of the matter. It was a silly confrontation for both men – long-time mates, but possibly no longer – but the one I feel sorry for is David Gyngell. As managing editor of the Sunday Program, I worked under Gyngell in his first incarnation as CEO of Nine from 2004 to 2005. He was a passionate chief executive. He knew when to praise and when to criticise, and he was fair. He loved television and was hands-on. I was most impressed with him during the 2004 Boxing Day tsunami. I was on annual holidays from the Sunday Program, which was on summer hiatus, when I got a call from David, asking me if I could come in to help produce A Current Affair, with acting executive producer Ben Hawke and supervising producer John Muldrew. “Wild horses couldn’t keep me away,” I said. My wife was less impressed, but she knew I wouldn’t be happy sitting at home when a story as big as this one was breaking. Gyngell came in every morning and asked what we were doing, and the sky was the limit as far as the budget was concerned. He explained early in the disaster: “One hundred and fifty thousand people could die. We have to cover this from every angle.” He led the coverage, and it was a pleasure to work your guts out for a man who cared about the news and the victims of this horrific tsunami that killed and maimed so many people. (The official death toll is more than 230,000 in 14 countries). He also made up for my working during my holidays, with a trip to Tasmania for me and my wife for a couple of days at the end of January, before I went back to work at Sunday. He paid for the trip himself. That’s why David Gyngell has the full support of the Nine board, despite the police investigation into the Sunday fracas. The chief operating officer of Nine Entertainment, Simon Kelly, described his boss as a passionate leader: “He lives and breathes the business, he has 100 per cent support of the management and the board and he has been in the office working.” http://bit.ly/1ssaaXA Speaking of support, I like what Gyngell’s wife, Leila McKinnon, a presenter for Nine’s Today Show, and one of the straightest shooting journos in the industry, had to say on Facebook yesterday: “He may be a brawling bogan but he’s my brawling bogan.” He really is a good bloke. It’s been painful watching the news on every channel covering the fisticuffs and its aftermath as a joke. On the other hand, a friend and former colleague at Nine, Janine Perrett, now the presenter of her own show on Sky Business, The Perrett Report, has been calling on the two executives to apologise all week. On her program on Thursday night, another friend, Crikey business and media commentator, Glenn Dyer, said both men “should have apologised to the community, the shareholders, the board and the employees for embarrassing them.” He added it was a matter of the bosses holding themselves to the standards they expect of other people and the people they employ. A reasonable request from Janine and Glenn. But back to a happy ending. The response to my daughter’s wedding has been enormous on Facebook. It’s a love story about a young attractive couple with a long and happy marriage in front of them, surrounded by family and friends who adored them – with the photos to prove it. So I think I’ll be six for ever and ever. Honeymoon Day 4 (in Bali) — Time for some extreme sports action white water rafting down the Telaga Waja River where I FELL OUT OF THE BLOODY BOAT into the rapids!! My husband (the hero) came tumbling in after me, smacking me across the face with his oar as he fell. And that, my friends, is why you should never leave your private villa and pool. Crikey Tom, How did you throw a daughter as beautiful as that? I was happy to stumble across Gonzomeetsthe press and discover you too are also with us. Sorry to intrude on a lovely family story, but I have lost contact with Brendan. Here is my email. Looking forward to hearing from you.